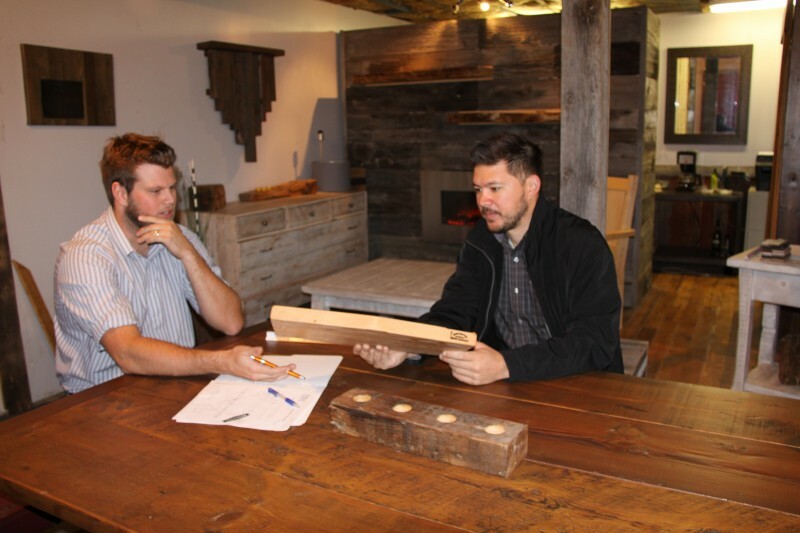 Josh (left) of PBW and Mike (right) of Bothwell Cheese, examine a mock-up of the logo shaped cheese board. 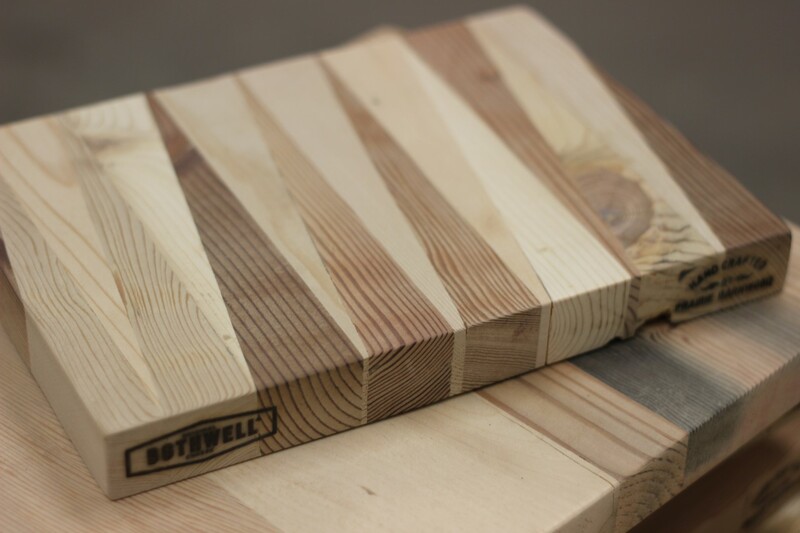 The result of a recent collaboration between Bothwell Cheese and Prairie Barnwood (PBW), our new cheese boards, just like our own products, are enriched with history & tradition. 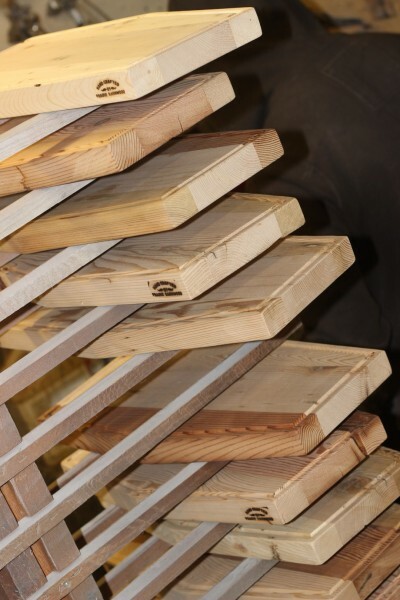 Our company is deeply rooted in Manitoba, producing a natural product, so when we were looking to produce custom cheese boards to display our varieties at trade shows and sampling events, it only made sense to team up with another Manitoba company with equally natural products. 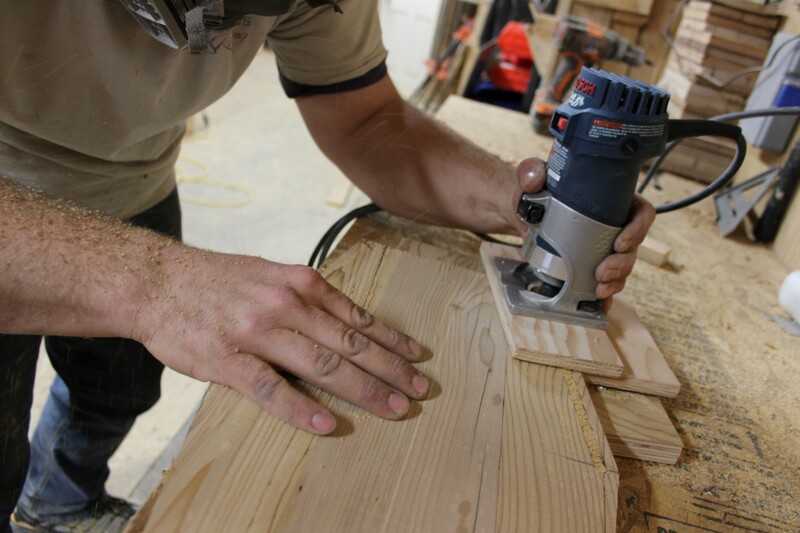 Founded by Blayne Wyton in Morden, Manitoba, the PBW crew gives new life to old barns, dilapidated homesteads and country style buildings made of wood. 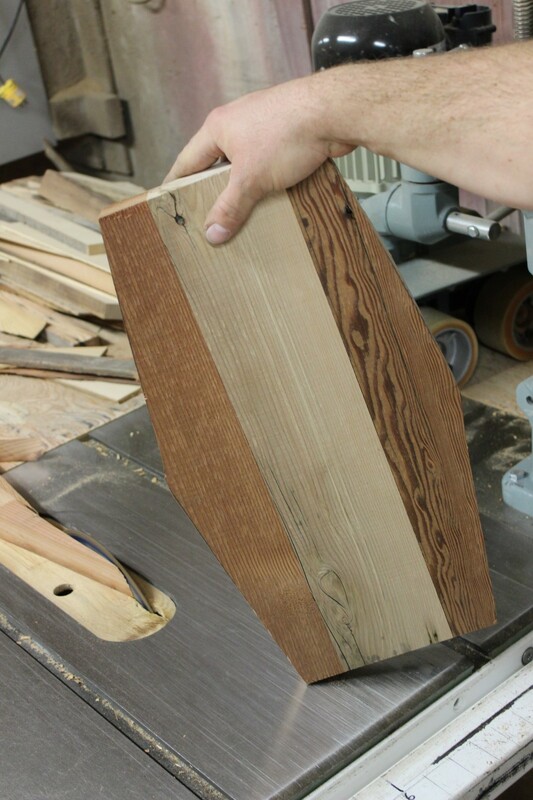 We challenged this talented team to craft custom Bothwell Cheese boards using 100 year old barnwood. We requested some of the boards to be designed in the shape of the Bothwell Cheese logo, while the remaining boards were left to the creativity of the PBW experts. 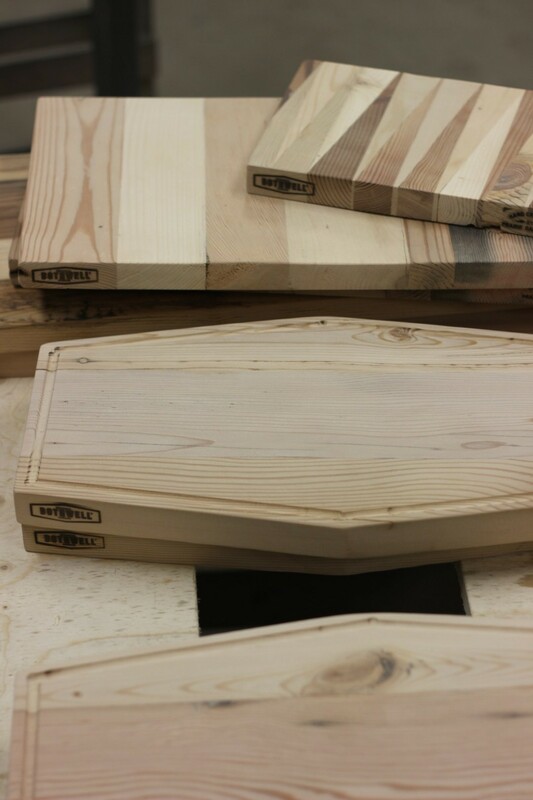 The results are an amazing collection of handmade, reclaimed cheese boards of all sorts of shapes, sizes, colours and textures. A true feast for the eyes. 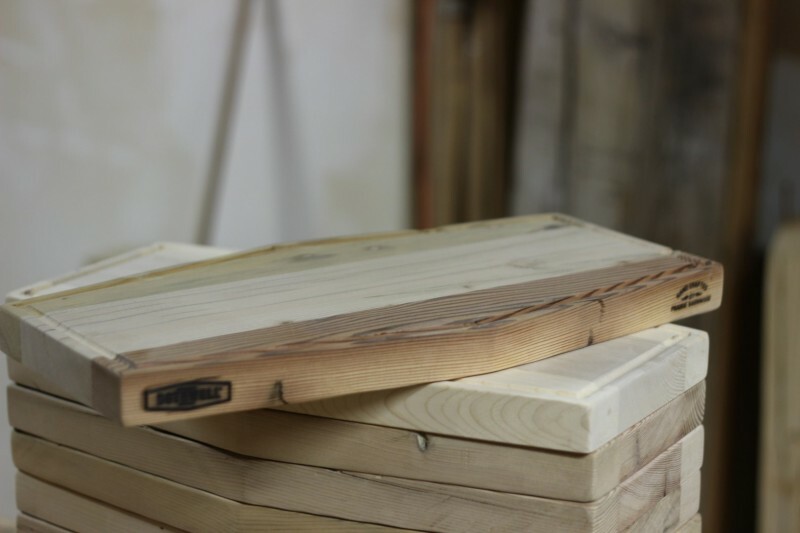 Prairie Barnwood began the process by hand picking each board individually. 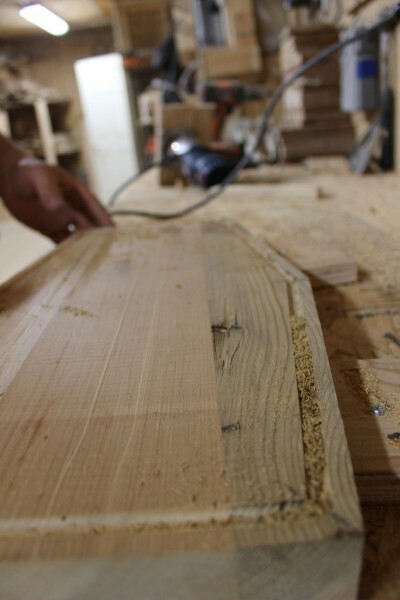 The boards were then glued, clamped and left to cure for 8 hours. 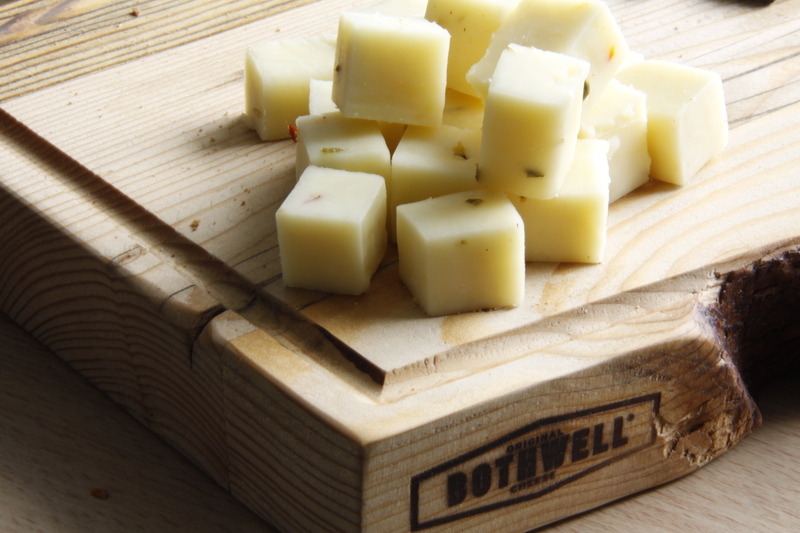 A custom jig was created to cut the boards into the shape of the Bothwell Cheese logo. 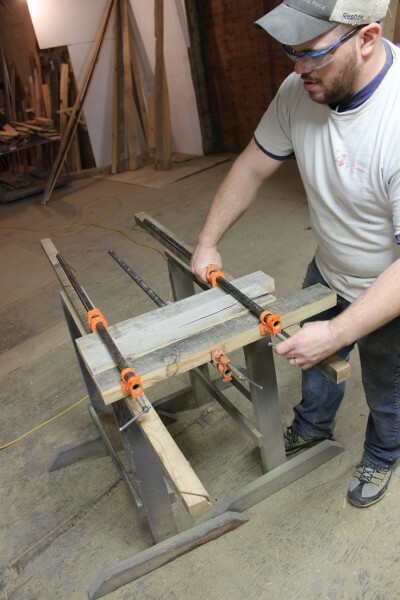 Another jig was handmade to router a drip tray around the edge, a very time consuming and meticulous step. One wrong move and the board would be ruined! 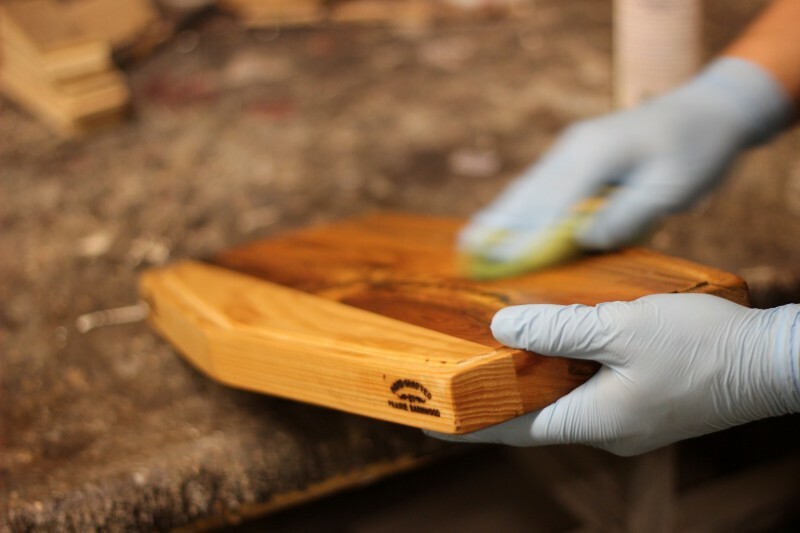 Each board was hand sanded and iron branded with the PBW and Bothwell Cheese logos for a one of a kind rustic & classic look. 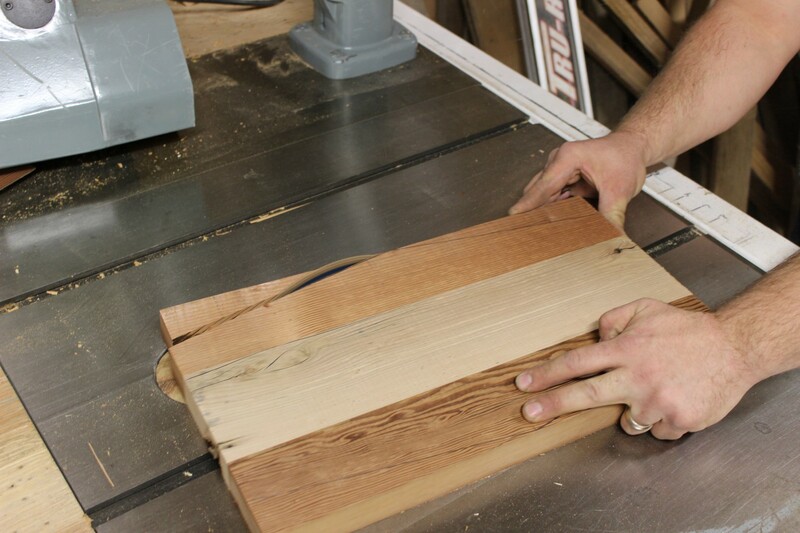 Then every board went through three final sanding stages for a smooth finish. 5 coats of food grade Mineral Oil were applied to protect the wood and enhance the natural unique colours of each board. 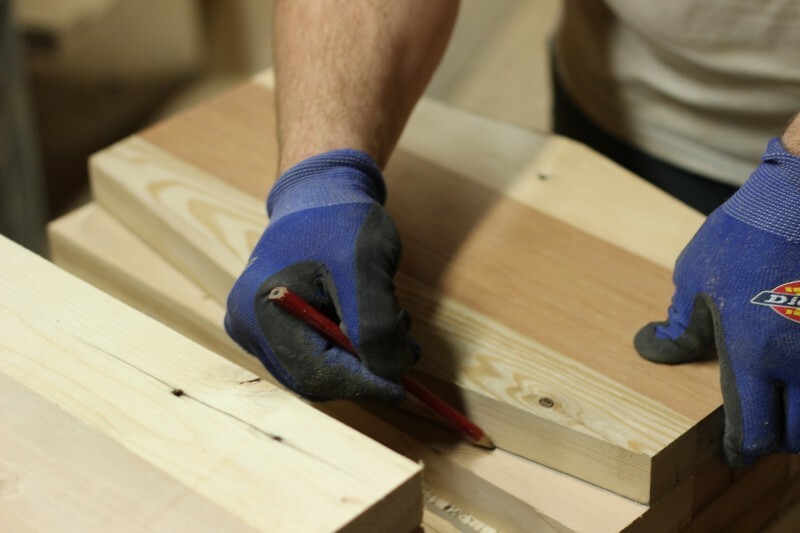 Cheesemaking is a labour of love, an industry of passion and truly an art form. 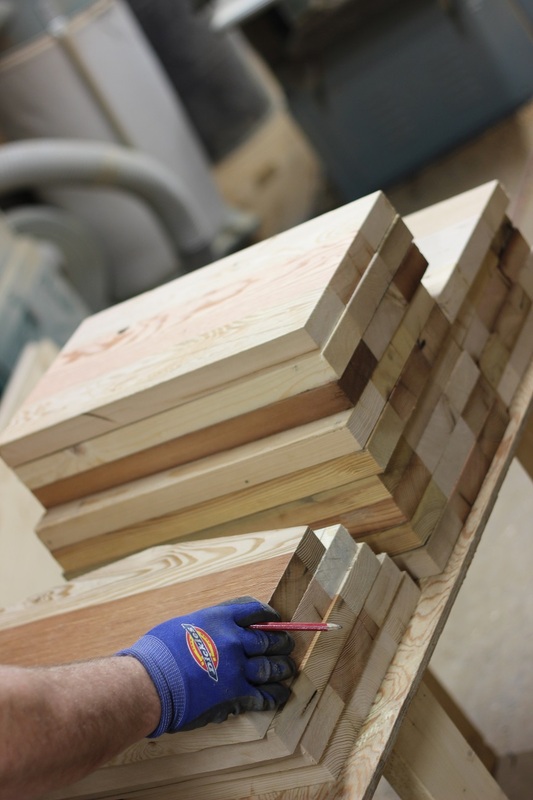 There’s a story behind every block, wheel and wedge. 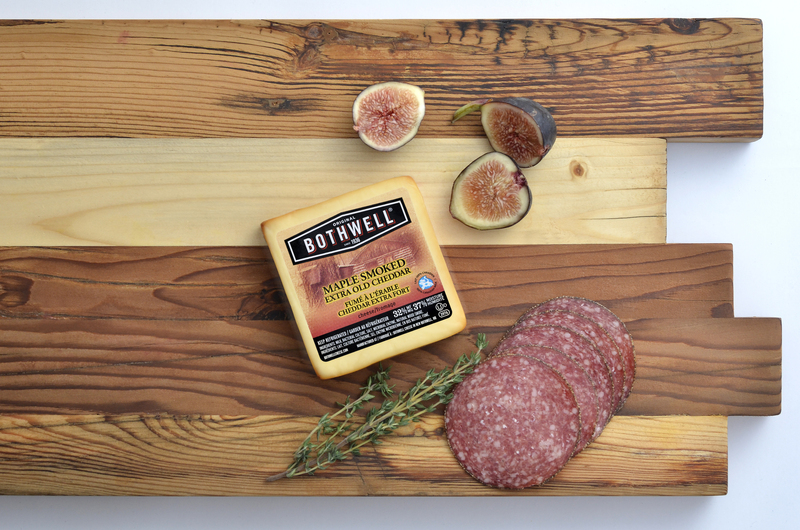 At Bothwell Cheese we believe there can also be a story behind how you serve your beloved cheese – we are happy to share ours with you. 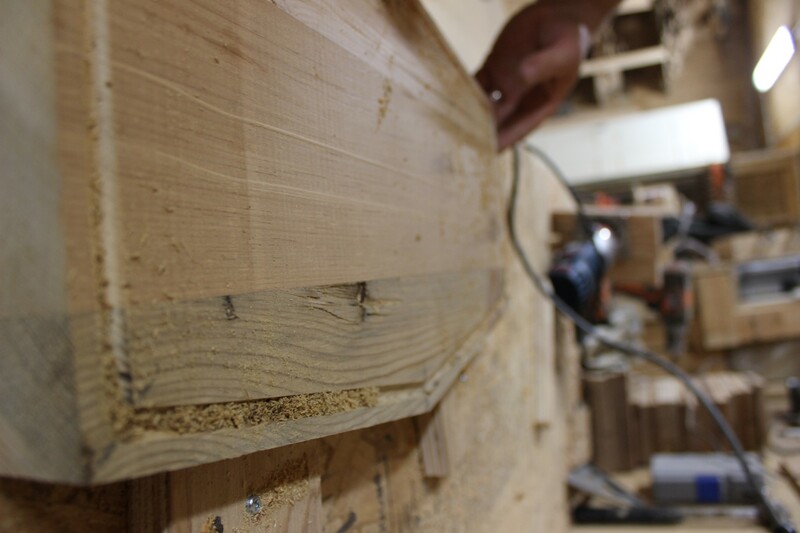 Visit the Prairie Barnwood website to discover more beautiful pieces crafted by our friends, including live edge tables, bedframes, barstools, mantles, counter tops and more! Do you have an affinity for all things vintage and rustic? 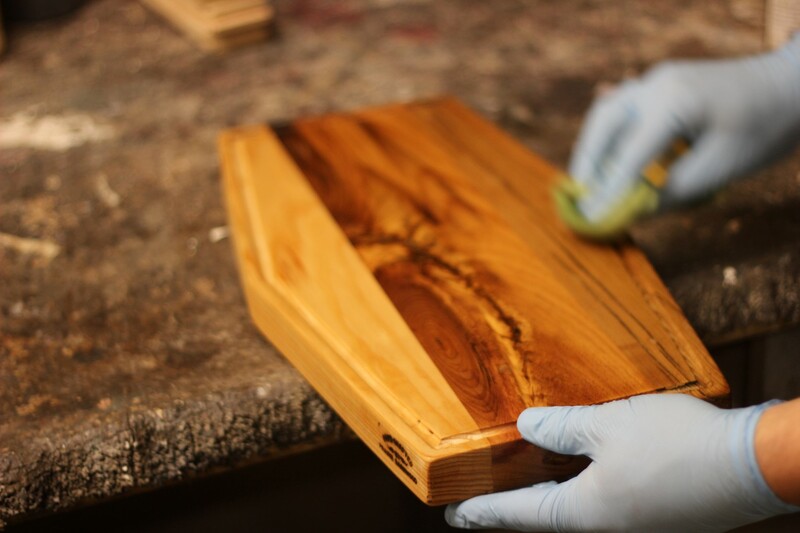 Share the story behind your most cherished item in the comment area below.